Most condominiums for sale in Quezon City and other areas of Metro Manila come furnished and ready for its new owner’s use. However, you’ll soon find that you need to get a few more stuff to make living there even better. Listed below are just some of the things you need to have in your very first condo unit. It doesn’t have to be a big box of tools, but it has to contain at least the basic tools you need for minor fix-ups. 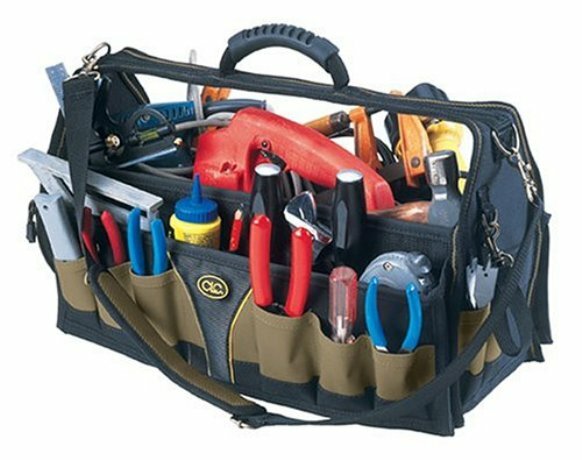 These tools include a screwdriver kit, claw hammer, crosscut saw, utility knife, vice grip pliers, needle nose pliers, cordless drill with bits, and a small assortment of nails and screws. Yes, we know it can be quite a chore sometimes but you got to do it if you want to enjoy a clean home. Get some all purpose cleaner, furniture polish, mopping solution and toilet cleaner for your cleaning agents. Get a mop, broom, dust pan, toilet brush, plunger and microfiber cloth for your cleaning tools. Always leave some cash at home for emergencies. The ATM won’t be online 100% of the time and not all stores or restaurants accept credit cards. It’s up to you to decide how much you’ll leave in the cookie jar or wherever you wish to hide it. 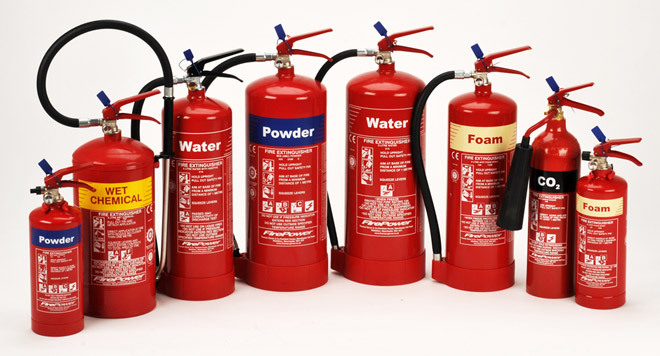 In case of fire emergencies, a fire extinguisher can be the difference between life and death. So get one and place it in the kitchen or anywhere in your condo where fires are likely to occur. Oh, and check the expiration date on the extinguisher every now and then to see if you need to get a new one. Flashlights aren’t just used during brownouts. You can also use it when looking for any lost small objects under the nook and cranny of your home. 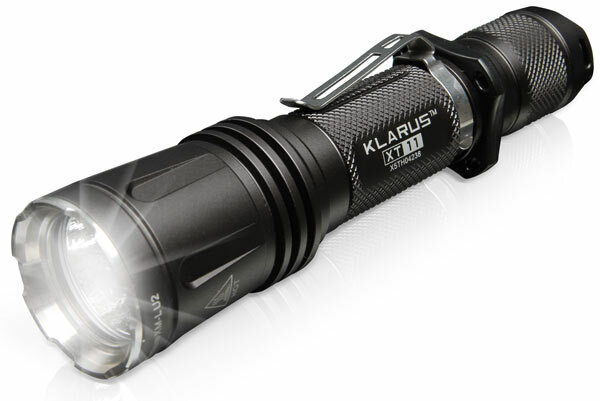 Just make sure you always have fresh batteries on hand for your flashlight. You always need them. Otherwise, you might end up destroying your doorknob or calling the nearest lock smith, which would cost you. Just entrust it to your housemate or neighbor so you can easily borrow it in case you lost your keys. No matter how careful you are, accidents can and will happen. By having a first aid kit in your condo unit, you can easily address most of the minor injuries that might occur. You can either assemble your own kit or purchase one from the nearby drugstore. In any case, the kit should include gauze bandages, iodine solution, adhesive tape, antibiotic ointment, bandages, safety pins, small scissors, tweezers, thermometer and triangular bandage, as well as medicines like aspirin, calamine lotion and aloe vera gel. One last bit of advice when buying stuff for your first home: always be practical! That means getting high quality and useful stuff for your condo without spending too much money on it. Who knows? Some of these stuff can be a very good investment in the long run! 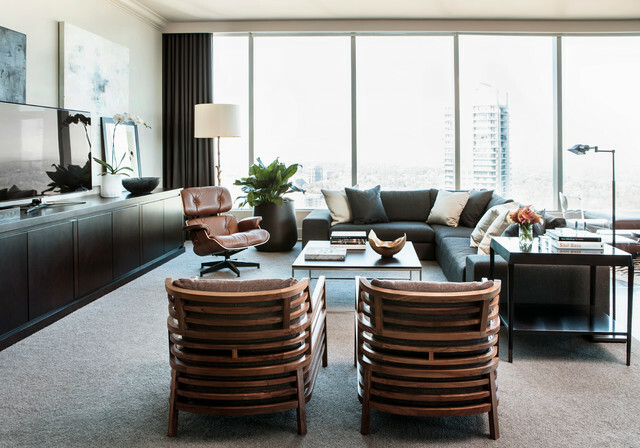 In a fast-paced world, living in condominiums can be the more practical choice. That way, you save both time and energy, since your unit might be situated near your school, office, or any other public places you need to go to. So whether you’re looking for condominiums for sale along Scout Area or in Makati, you need to remember these following tips if you want to really get your money’s worth. There may be lots of condominiums for sale within your area, but that doesn’t mean they all come in the same price. So make sure you pick the unit you can afford, or else you’ll be in big financial trouble. Don’t stint yourself, though; there are still lots of condos with great qualities despite their low costs. Aside from your budget, location is another factor you should consider when picking a condo unit. Is it close to your office or school? Can it be accessed through public transportation? Are there any convenience stores, eateries, fast food chains, restaurants, malls, or parks nearby? What about clinics or hospitals in case of emergencies? These are just some of the questions you need to answer before you buy a unit. The size of the condo, as well as how many of you will live there, is also an important factor you should think about before buying the unit. After all, what’s the point of buying a 3-bedroom condominium if you’re the only one staying in it? And if you’re planning to start a family, a studio-type unit wouldn’t be large enough, would it? But condominiums shouldn’t just look and feel comfortable; it should also be safe enough for its inhabitants. Safety is included in Maslow’s hierarchy of needs, after all! So while checking out various condominiums, best observe if they have security guards and strict protocols regarding the safety of the homeowners. Other security tools and facilities like security cameras and admin offices should also be present. There are lots of real estate developers here and there, consisting of both reputable and new developers. We’re not saying that condominiums made by new contractors are problematic; it’s just that with known veteran project developers, you can better rest assured that your investment is safe and sound. 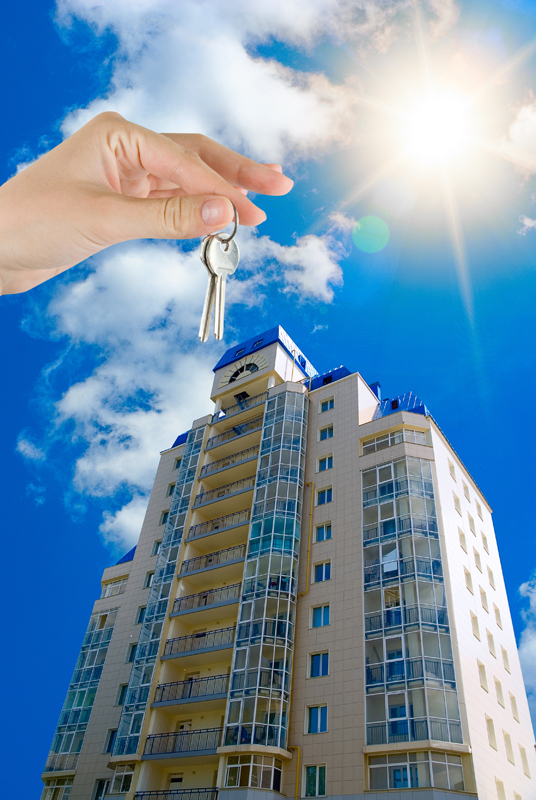 Lastly, when buying condominium units, you shouldn’t forget to consult the experts. Engaging with a reliable licensed real estate broker will give you an assurance that the condominium unit you’re buying has good quality. Not only that, when a mishap happens, there is a high chance of you winning the suit because the real estate broker knows how things work in the real estate business. Believe it or not, buying condominium units in the Philippines isn’t thathard. In fact, the only thing you need to worry about is choosing the perfect one from among many choices! Just make sure you follow these tips and you’ll soon be moving into your new home. First things first: What is rustic style? The rustic aesthetic can be described as retro rural with a modern touch. It may have elements that make it look unrefined and unfinished, but the overall look is modern and clean, making it seem like it was lifted off a Scandinavian home catalogue. There are many ways to interpret this design theme so don’t be afraid to get creative with it and just have fun. While it may be a bit overwhelming to do a home in one distinct style, you can easily pull off a rustic inspired condo with a few essentials elements. 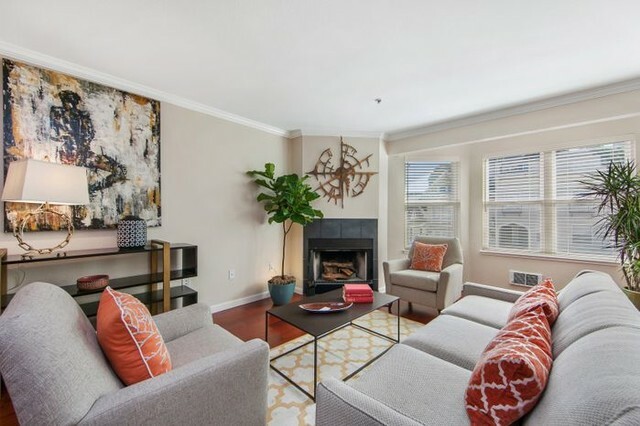 So if you’ve just bought a bare condo for sale in Scout area and you’re looking for a distinct way to give it style and warmth, then these five tips may just do the trick! One important element that every rustic inspired home needs to have is wood – lots of it! Raw wood works best in terms of look and feel so better get pieces that are minimally varnished. Light wood is ideal if you want to achieve a modern and airy feel, while dark wood is perfect for creating sophistication and stability. Wooden accessories like trays and picture frames would also work well in creating a rustic look for any room in your home. Forget loud colourful prints if you want to pull off a classic rustic theme. Instead of silk pillow covers and floral inspired sheets, use classic linen and canvas instead! The simpler your fabric choices are the better so if you want theme appropriate curtains, burlap might just do the trick. If you want a bit of panache, you can spruce up your area with animal skin prints. But make sure you don’t go overboard by using two or more different prints in one space. Looking for a way to bring attention to your floors without having to retile the entire area? Then you need a couple of rugs made from natural materials to give your room a new look. Jute rugs can add an understated yet put together touch to any room while an animal fur rug (faux of course!) is a playful design element that you can use to make your bedroom or living room stand out. You can also consider sea grass or sisal as other rug material options. Since you’ll want to showcase the natural elements of a rustic room, going light neutral on your walls is an absolute must. Stay away from white and choose warmer tones like antique white or white opal. To the untrained eye, all those white shades may seem like the same color, but you’ll see a huge difference once you apply it to your walls. As for furniture pieces, always remember to keep in simple and functional. There is practically limited embellishments in the rustic style so classic pieces will work great with this specific theme. Have any design ideas you would like to add to our rustic style guide? Do let us know in the comments section below. While looking at condominiums for sale in Quezon City, you might also want to start thinking of the appliances you’ll need for your new home. Moving to a new home can be very exciting, but it can also be quite costly if you’re moving into a bare unit. The great thing about living in a condo is that you only need a few key pieces to furnish it. Here are the 7 appliances you need to enjoy comfort and technology in your new home. Imagine what your life would be like without the fridge. Not very pleasant is it? Without your trusty refrigerator, you won’t have ice for your drinks, no place to store leftovers for the next day, and no access to fresh produce without having to run to the grocery every minute of the day. You will have to buy many of your food staples like eggs, milk, butter, and cheese in very small quantities at a time or they will all just go to waste. Another important appliance that you need in the kitchen is the electric stove. How else are you going to whip up your culinary delights without the heat? Since most condo developments discourage the use of gas ranges for safety reasons, an electric stove makes the economical and practical alternative. Don’t forget to check the safety features of the electric stove before buying it. For small food heating jobs, nothing gets the job done faster than the microwave. The great thing about having a microwave is that this nifty appliance can make popcorn, heat water, and even make a chocolate dessert in just mere minutes. You can also use it to dry up a batch of tomatoes if you ever have a hankering for sun-dried tomato pasta. Every home needs some form of instant entertainment so a television should definitely be on your list of must buys. After a long and tiring day at work or in school, you should be able to relax and enjoy watching your favorite television shows or movies. In a tropical country like the Philippines, you need to have at least a couple of sturdy electric fans in your home. Why a couple? Because when summer comes, one isn’t going to be enough to cool you down. Since electric fans come in all shapes, sizes, and colors, make sure to pick out a couple that isn’t going to look tacky with your interior design. Ahhh yes, the only appliance that matters when temperatures rise in the city. Even though the air conditioner may seem like an expensive buy, there are a lot of models that are not only well built, but cost efficient as well. Choose brands that offer warranties so you can really get the most out of your money. And with econo features, you won’t have to spend that much money on your electric bill to cool off in the summer. Last but definitely not the least, you need a durable, heavy duty washing machine for your condo. While most condo dwellers prefer to get their laundry done by local laundry shops for convenience, you’ll be able to save much more money doing your own load ever week. Plus, you can be sure that your extra sensitive garments are cared for the right way since you’ll be doing your own washing. What’s your must have appliance in your home? Let us know in the comments section below.